The first sighting on our marine eco tour was of our very endangered Indian Ocean Humpback Dolphins. Unfortunately for us, as like yesterday, the small cetaceans remained very close to the shore within the breakers making it very difficult for us to get any closer, but we still managed to get some great sightings. Our next stop was at our sister company, marine dynamics doing the shark cage diving. 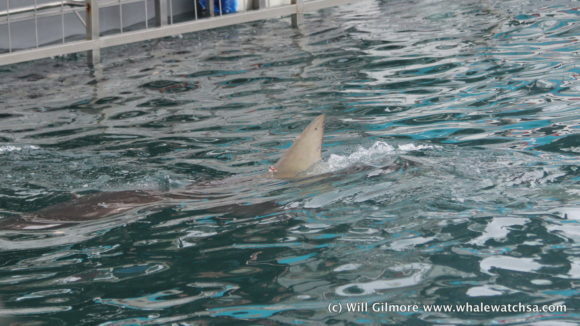 We hoped to get a glimpse of a shark but ended up seeing two species, the bronze whaler and the great white shark. 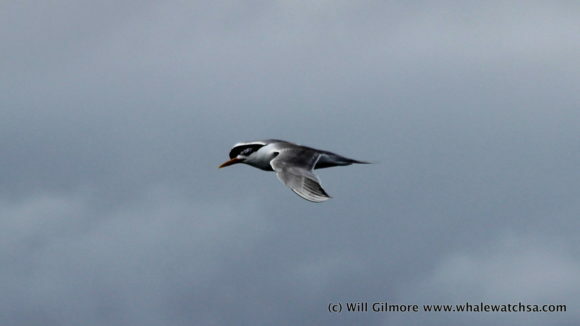 With three amazing sightings, we headed towards the island in search of our next two species. 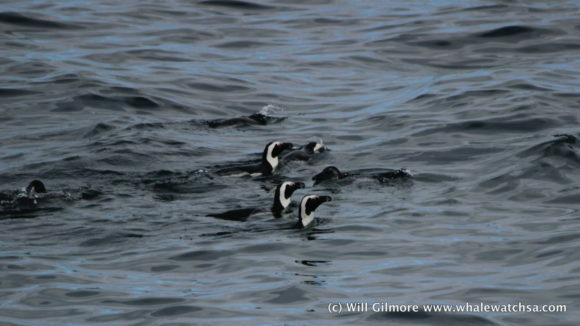 At sponge bay, we struggled to point out the penguins due to their rapid decline, but one lone penguin was waddling up the rocks which everybody could see. 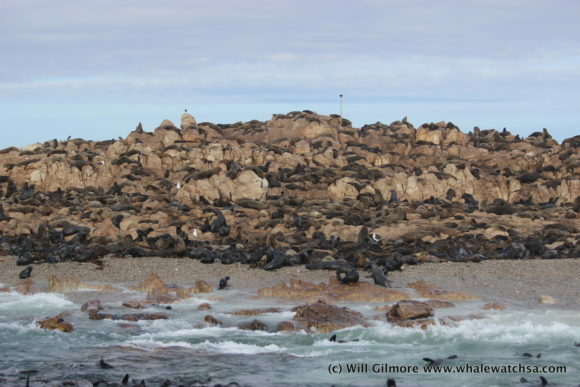 After sponge bay, we headed around the corner into shark alley to say hello the fourth largest cape fur seal colony in southern Africa, numbering over 60,000 seals. 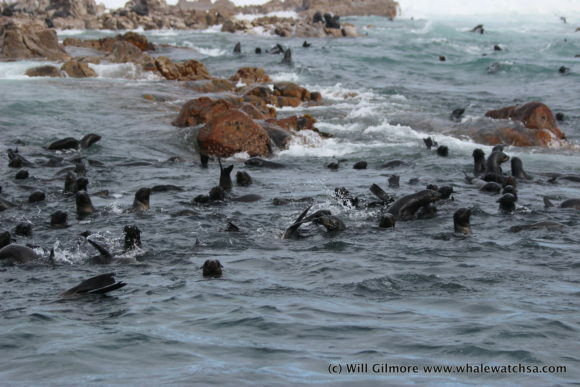 We spent a lot of time with the seals, soon it was time to move on. We headed out behind the island in search of anything larger but actually came across a few little African penguins. These were our last sightings of the day.